Kari Dale has plans—big ones that are about to be realized with the launch of her store in Starlight Bend. Totally focused on achieving her goals, Kari isn’t prepared for tall, dark, and amazing Ty Timberlake. Within minutes of meeting Kari, Ty knows he’s in trouble. She’s smart, funny and... read more beautiful. He understands her goals, but knows the rat race won’t make her happy. Kari is hell-bent on making her mark and moving on to the next challenge; Ty is equally determined to win her love and make her stay. As Christmas draws closer, Kari begins to question who she is and what she wants. 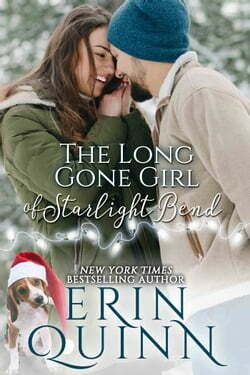 Should she stick to her plan and be long gone come the New Year, or chart a new course with the man who’s stolen her heart?